Ovations School for the Arts offers camps several times a year. We offer 3 different Summer Camps... Summer Adventure Camp, Anime Camp, and new this year our Role Playing Summer Camp, We offer a Spring Theatre Camp, and a Winter Arts Camp. 9a-3p Cost is $40 per day plus a one time $35 per family registration fee. Join us on a different adventure every day. We will be traveling on many exciting adventures throughout the summer. We will take a splash at Adventure Island* once a week. 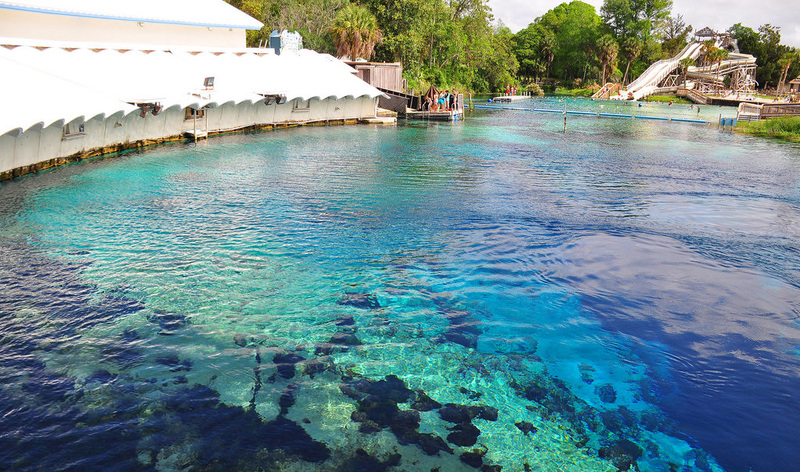 Come see the Mermaids of Weeki Wachee, take a Dolphin Tour*, go on a Sponge Dock boat tour*, bowling, movies, earn free books, play with the dinosaurs and much, much more. Space is extremely limited and is booked on a first come first served basis. 9a-3p Cost is camp tuition of $350 for 2 weeks of camp, plus a one time $35 per family registration fee. Anime camp includes tickets to MetroCon. Do you have a love for all things Japanese? Obsess about the latest Japanese Animation release? Are you curious about what Japanese Animation is all about? Then this camp is for you! Watch and discuss anime that interests you, get exposed to Japanese animation you may not have seen before. Learn about what makes Anime different from Western animation and more. Develop and participate in panels and Anime inspired games, crafts, and more. Write your own Manga comic book. Dress up as your favorite CosPlay. There is so much to do! This is a camp you won’t want to miss. 9a-3p Cost is camp tuition of $175 per week plus a one time $35 per family registration fee. The core of Role Playing games is storytelling. You and your friends tell a story together, guiding your heroes through quests for treasure, battles with deadly foes, daring rescues, courtly intrigue, and much more. Learn how to DM your very own game and create your own realms and characters. You can also explore the world of Dungeons & Dragons and Pathfinders through amazing one of a kind Summer Camp. 9a-5p Cost is camp tuition of $175 plus a one time $35 per family registration fee. Join us for an amazing, fun-filled camp where we will be creating Theatre inspired games, incorporating multimedia, music, costumes, set design, and a student written original stage play. Performance day is the last day of camp held dinner theatre style in conjunction with a spaghetti dinner fundraiser. 9a-5p Cost is camp tuition of $40 per day plus a one time $35 per family registration fee. This is a drop in style day camp that brings different elements of art to life each day. We will be working with clay, watercolor, acryilic, oil pastels, tye-dye, chalk art, jewelry and wearable art and more. Students will be working on original artwork to be used as holiday gifts for friends and family.